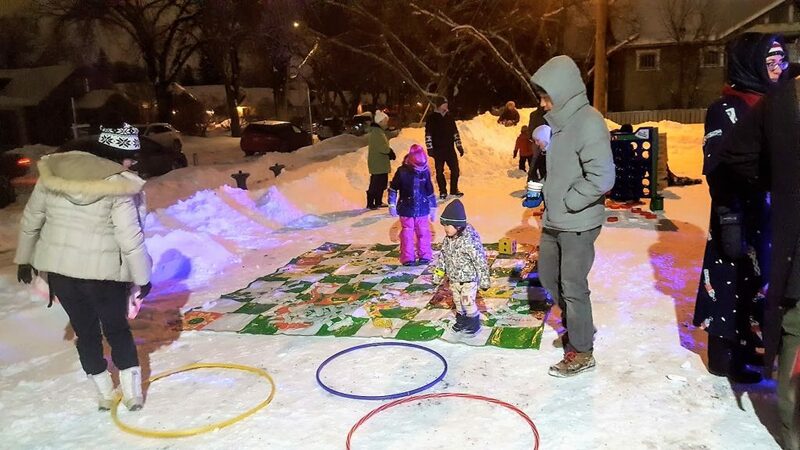 To warm up the streets during a seemingly never-ending winter the Crescent Heights Community Association (CHCA) held a Full Moon Party on the evening of March 3, 2018. The all ages party started in Tigerstedt Block with the first 100 guests receiving free glow in the dark bracelets, necklaces and temporary tattoos. Children had a chance to enjoy Snakes and Ladders, Connect Four, Jenga and other giant games provided by the City of Calgary. There were fire pits to roast marshmallows and keep everyone toasty warm, as well as, a DJ for some tunes. The CHCA provided free hot chocolate and marshmallows for the guests. “It was so nice to see the parking lot transform into this magical vibrant place,” says Jennifer Black, the event organizer from CHCA. She explains the neighbourhood businesses were very helpful with the organization of the event and even loaned power to light up the parking lot. The CHCA is also helping build a business improvement area on Center Street and were able to use the event to show local businesses that the area can be vibrant and lively if investment is put in. Pulse Studios also volunteered to perform a hip-hop routine for the party, which got everyone up and dancing. There were 35 students who were all happy to be a part of their community. “My favourite part was getting to know the neighbours and do something nice for our neighbourhood,” says Tera Wilson, owner of Pulse Studios. 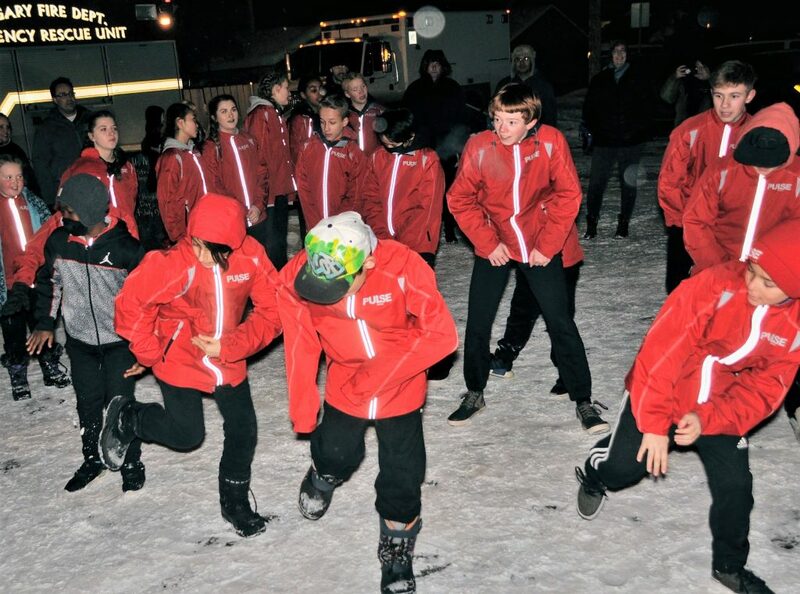 Even though it was bitterly cold outside, nearly 250 residents had huge smiles on their faces and were making new connections with neighbours, as well as refreshing old ones. 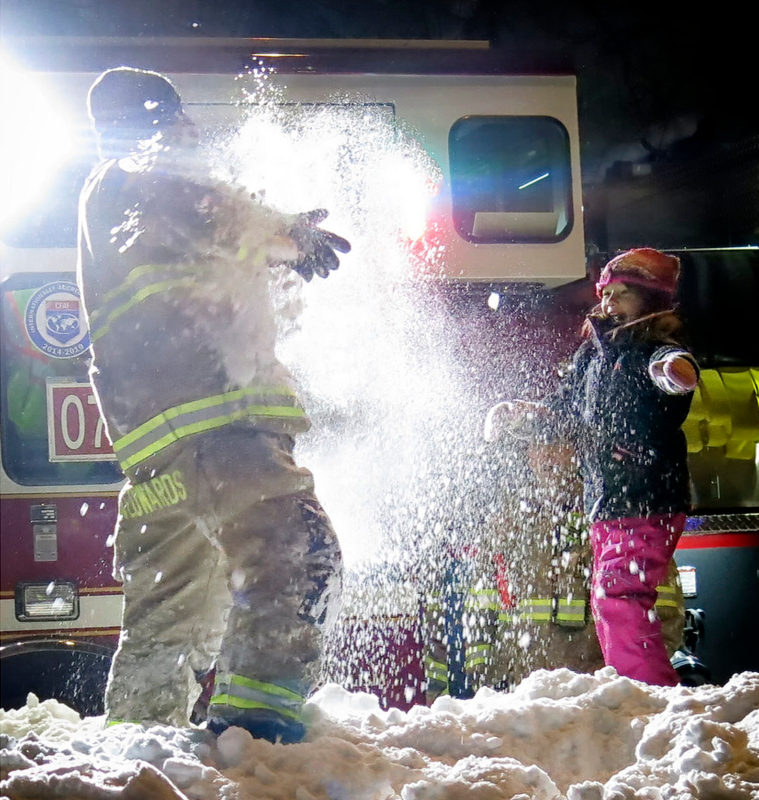 Even firefighters came to have a blast, initiating a snowball fight with the children, which was mostly children throwing snowballs at them. “It was so much fun, and we got so much positive feedback that it made it all worthwhile,” says Black. The CHCA received great feedback from residents which inspired them to make the party an annual event—Crescent Moon Party. We’re excited to see what they have for us next year.